Welcome to Americas Best Value Inn Columbus - West/ Ohio. We are located in the heart of the Buckeye State/ near Downtown Columbus/ Ohio State University/ Mall at Tuttle Crossing/ Crew Stadium/ Cooper stadium/ Columbus Zoo and Zoombezi Bay Water Park. Our Guests will enjoy amenities like Complimentary Continental Breakfast/ Express Check-in - Check-out/ Guest Laundromat and Outdoor Parking. For our Business travelers we offer Hi-Speed/Wireless Internet Access/ Fax and Copy service. Each nicely furnished Guest room features Microwave/Mini-Refrigerator/ Cable TV with HBO/ HBO2/ HBO3/ ESPN/ ESPN2/ CNN/ Hairdryer/ Complimentary Local Calls/ AM/FM alarm clock radio. 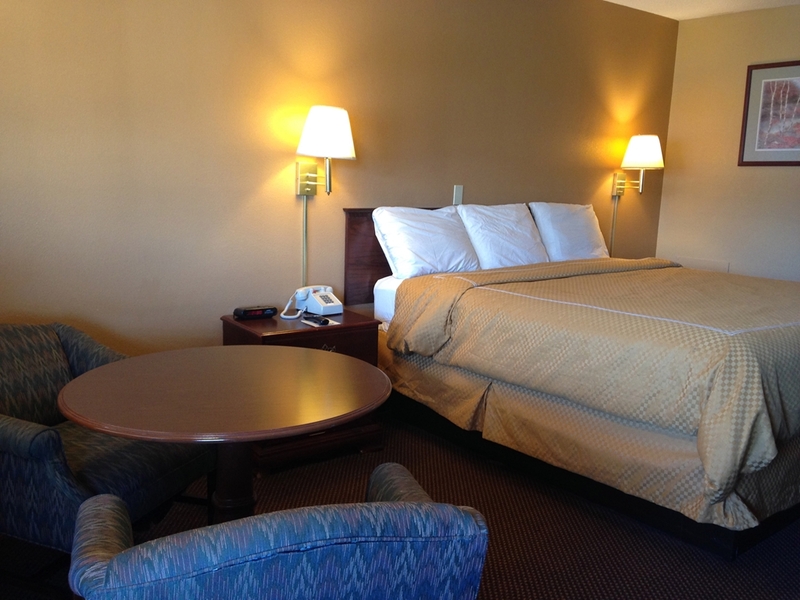 Pets are allowed-charges and restrictions apply.Our friendly and experienced staff invites you to be our Guest and enjoy the value of staying with Americas Best Value Inn - Columbus-West/ Ohio. PROPERTY LOCATED ALONG I-70 AT EXIT 91B/ APPROX. 9 MILES WEST FROM DOWNTOWN COLUMBUS/ OH AT 1313 ST. JAMES LUTHERAN LANE.